Standing pilot lights are constantly lit flames that allow your furnace to ignite its own burner. Standing designs are effective, but sometimes require relighting. Here’s a quick guide to help you relight your pilot light and diagnose any further problems. Always read the manufacturer’s guidelines. Understanding how to correctly light your pilot is key to avoiding damage to your home and furnace. Keep the area ventilated. Open all nearby windows and doors to avoid a buildup of gas. Smell for gas. Spend a few minutes checking the area for strong gas odors. Don’t forget to smell for a buildup of propane near your floor. If you don’t smell any gas, continue lighting your pilot. If you do smell gas, turn off your main gas supply and immediately vacate your home. Once you’re at a safe distance, call your propane dealer and report a potential gas leak. Step 1: Find your pilot light and gas valve. The gas valve is usually painted red with the on, off and pilot settings clearly marked. Step 2: Turn the valve to off and wait three minutes. Step 3: Switch the valve to the pilot setting. Light a match and hold it near the pilot opening while you press the reset button on the pilot control panel. Continue to keep the button pressed down until you see the pilot flame ignite. Set the valve to the on position. Step 4: If the light doesn’t stay lit, you could have a clog or other serious issues. It’s best to call a pro to tackle these repairs. An extinguished pilot light isn’t always cause for alarm. If you don’t smell gas, it’s likely a minor mechanical issue that you can solve through re-lighting or calling a pro. If your pilot goes out more than once or won’t stay lit, have a technician look at your furnace. If you’re having problems with an electric furnace, re-igniting your burner won’t be as simple. It’s best to call a licensed professional to address these problems. Condensation. 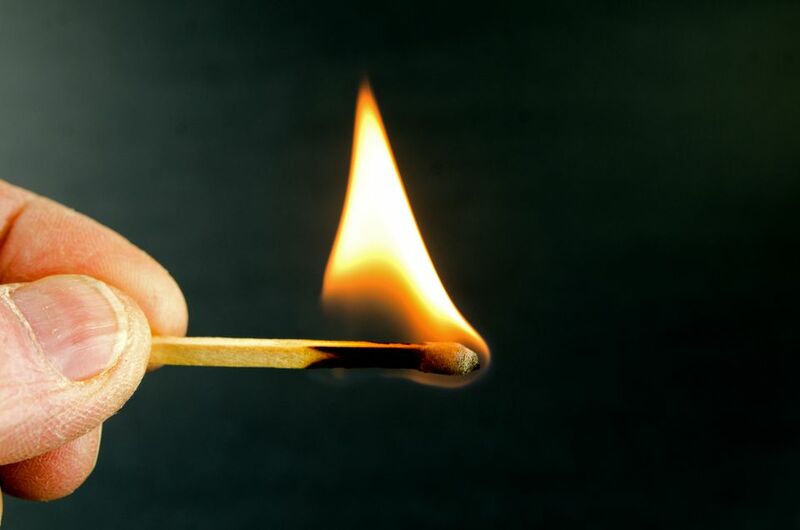 Burning fuels produce trace amounts of water that can build up over time and form condensation. Occasionally, moisture will accumulate and drip onto your pilot, putting it out. Allowing more air to flow into your furnace can help eliminate some moisture-related problems. Air Supply. Too much or too little air can extinguish your pilot light. Be sure to block your pilot from drafts and wind, but avoid creating an airtight seal. Consult with a furnace professional to establish the best solution for your pilot. Gas pressure. Inconsistent gas pressure can cause your pilot light to go out. Small, weak flames indicate a lack of gas pressure, while high flames are an indication of high pressure that could blow out the flame. Many times, faulty pressure is a symptom of problems with other HVAC-related systems. It’s best to leave this repair with a licensed professional. Equipment. If condensation, air supply or gas pressure aren’t the problem, have a professional check your furnace’s hardware. Problems can sometimes occur with the gas valve, thermocouple connection or your thermostat. Trapped air in your gas line could also keep your pilot light from igniting. A trained technician will identify your problem and provide an appropriate solution. Modern pilot lights are equipped with sensors that prevent dangerous gas leaks. If you recently purchased your house or haven’t installed a new furnace since living in your home, have a professional inspect your HVAC for the proper sensors. Your furnace should have a photodetector, thermometer or voltmeter. These devices detect the presence of a lit pilot light and shut off the gas supply if no flame is present.